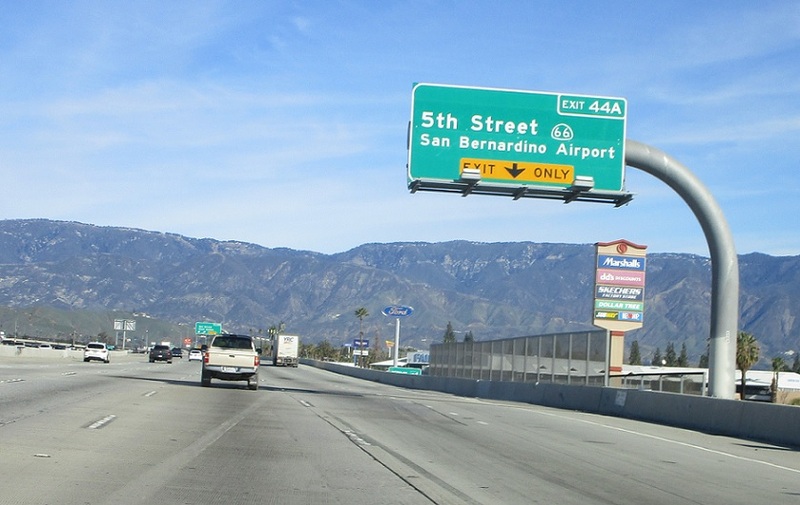 Just after the I-10 interchange we’ll enter San Bernardino. 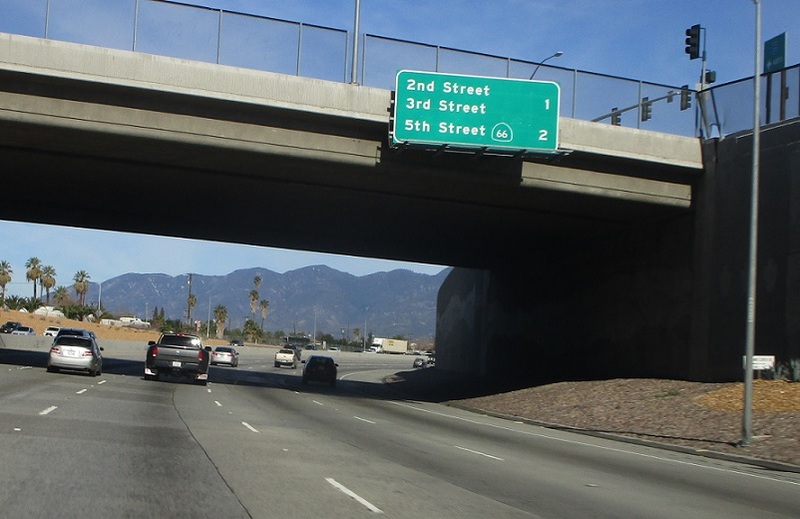 Two miles to SR 66. 1.25 miles to SR 66. 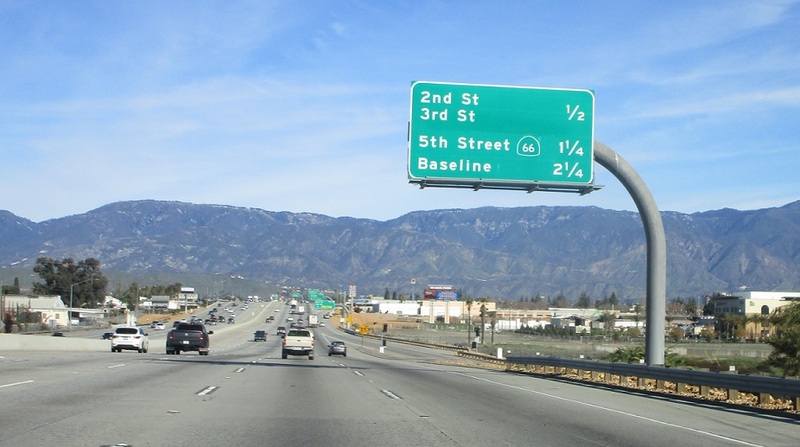 Exit ahead for SR 66, which is the old routing of US 66 through the Inland Empire.